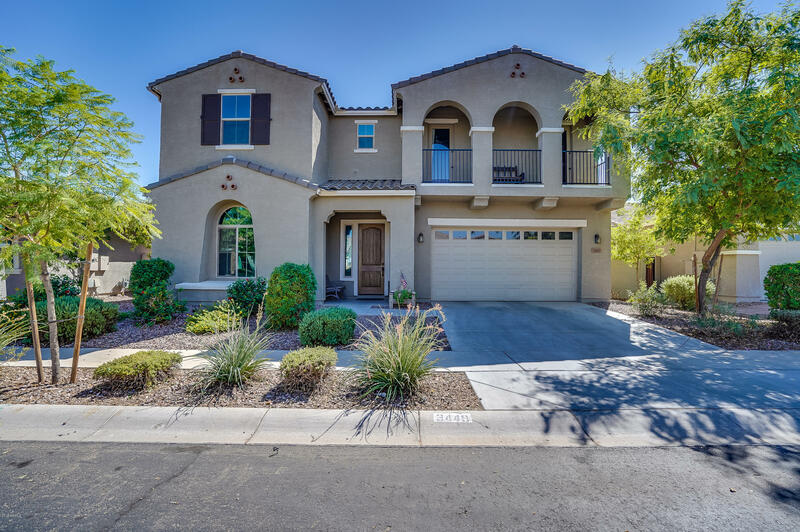 All LYONS GATE PHASE 7 homes currently listed for sale in Gilbert as of 04/22/2019 are shown below. You can change the search criteria at any time by pressing the 'Change Search' button below. "Corner lot beautiful landscaped front yard across from greenbelt. Stone veneer patio entry, Open the Custom made Iron security door to a spacious foyer that leads to a full bedroom and bathroom on the main level, a formal dining area, An gourmet kitchen loaded with extra cabinets, Gas range/oven, refrigerator included, Huge granite Island made with extra cabinets, a butlers pantry with beverage center. eight ft interior doors with 10' main level ceilings & 9' ceilings up. Resort style yard, hea"
"Come see this one-of-a-kind 5 bedroom, 4.5 bath + office + loft + 4 car tandem garage home in the highly sought after neighborhood of Lyons Gate! 4,300+ sq ft homes rarely come available in this area! 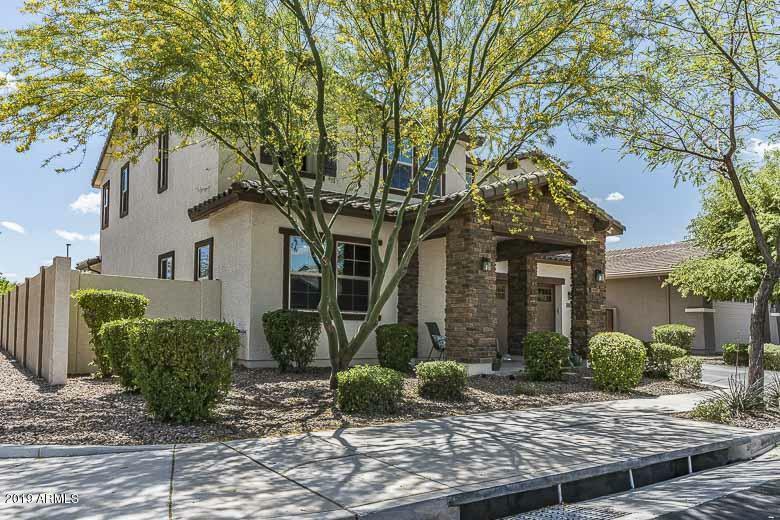 The home features HUGE living areas, an oversized master suite w/ separate tub+shower, a deck/patio overlooking the neighborhood, large walk-in closets and more! In addition, there are many upgrades including granite countertops, Stainless Steel Appliances, & custom trim work/finishes. The home"